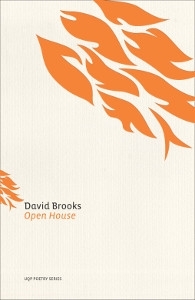 Open House by David Brooks, UQP 2015. There are many themes in David Brooks new book Open House, many values of love, many heart felt convictions, many parables and narratives. The collection’s cohesion is the poet’s voice, borne out of colloquial language, stated in an intimate cadence and brought together by true conviction. The main theme of the collection is man’s cruelty to animals. And this animal kingdom encompasses every living creature – from slugs to elephants. Mankind should live at peace with all creatures. As Francis Ponge once wrote: We only have to lower our standard of dominating nature, and to raise our standard of participating in it, in order to make this reconciliation take place. you think something more delicate, utterly. just crushed by my driver’s-side wheel. wondered what could be their name. One of the great strengths of Brooks style is his clarity of vision. When poetry in English was polluted by faux philosophy and stylistic filigree in the late 19th century, Pound and Eliot et al went to Eastern poetry for a cure – the image was at the heart of the new poetry, the sharp image transporting emotions from the poet to the reader via the page. We hardly notice such a technique in our contemporary poetry until it is used in an exceptionally excellent manner – or the reverse. Here Brooks uses the clarity of the senses to paint pictures which carry vibrant thoughts without force or flippancy. at the back of a crowd, trying to catch our eye. the businesses of poets to try to hold them. to the road like leaves. with its own intimate tones echoing long after you have put it down. This entry was posted in Andrew Burke, David Brooks, Issue 14, Open House, UQP and tagged Australian poetry, literature, poetry by Mark Roberts. Bookmark the permalink. Andrew, I found this a very enjoyable review. I thought you got at Brook’s magic very well.